With the popularity of Fitbits and Apple Watches, during the last few years Americans became hyper-focused on tracking footsteps. However, Dr. Kathy Siesel, DPM, has been aware of people’s feet ever since her teenage years. She always noticed the way people walk, and once she realized that podiatry was a field of medicine in her undergraduate years, her choice to study foot and ankle conditions was a perfect fit. Dr. Siesel handles cases ranging from routine heel pain and ankle sprains to complex cases involving traumatic injuries and surgeries with less than optimal results. 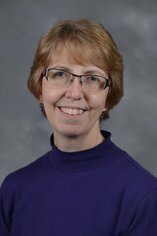 With her subspecialty in biomechanics, she evaluates patients and uses a variety of rehabilitation and bracing techniques to improve function and relieve pain. Treatments often include custom shoe inserts or custom ankle braces. Her job is rewarding, “especially when a patient’s pain is well under control and they can move without thinking about it all of the time,” she says. When you go to pick out new shoes, to make sure you choose the right shoe for the shape of your foot you should “turn one shoe upside down in the store and place your opposite foot onto the sole,” Dr. Siesel says. “Your foot should not overhang the sole at any area. When it comes to shoes you can exercise in, there are additional features to look for. 1) The shoes should not be able to be folded in half lengthwise. 2) The shoes should not rotate easily around the length of the shoes. 3) The heel part of the shoe should be firmly attached to the sole and shouldn’t move easily from side to side. She recommends New Balance, ASICS, Saucony or Nike for those looking to purchase athletic shoes. When Do You Need to See a Foot and Ankle Specialist? It’s important to take care of your feet and ankles. Anytime a person has a new injury or recurring issue with their foot or ankle, they should seek help from a medical professional. Common conditions that should get treated are ankle and foot sprains, painful toenail(s), or aggravation of past injuries. Additionally, for those who experience sensory problems with their feet, ankles, or legs it is crucial to check for redness, swelling, skin lesions, changes in skin temperature, color, or hair growth. Dr. Siesel is not only a practicing podiatrist at the Cleveland Foot & Ankle Clinic (CFAC), but also an Associate Professor in the Division of Surgery and Biomechanics at Kent State University College of Podiatric Medicine. She teaches a lower limb anatomy class, as well as classes in rehabilitative medicine and sports medicine. She also teaches in clinical settings at CFAC. “Many of my clients have more complicated or prolonged problems and this affords our students the opportunity to see what can be accomplished with shoe inserts, bracing, and rehabilitation techniques.